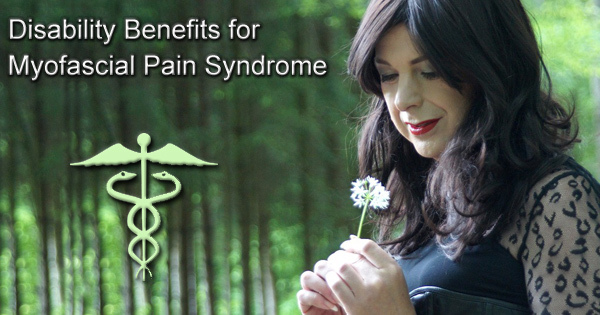 Can I get Disability Benefits for Myofascial Pain Syndrome? If you are suffering from Myofascial Pain Syndrome you may qualify for Social Security Disability. The Social Security Administration has specific language and conditions related to qualifying for benefits while experiencing symptoms of Myofascial pain syndrome. If you have been denied initially don’t give up. You may want to consider appealing the decision. The Social Security Administration has specific conditions related to qualifying for disability benefits while experiencing symptoms of Myofascial pain syndrome. Call 512-454-4000 for help today! Myofascial pain syndrome or MPS is a chronic condition that affects the body’s soft tissues. Pain associated with MPS can be severe and is often described as unbearable. It occurs when a muscle, ligament, or tendon is strained and may involve either a single muscle or a muscle group. Causes include injury to muscle fibers, repetitive motion, overuse, and lack of activity such as having a broken arm in a sling. Symptoms most often include pain in a muscle with specific “trigger” points that may worsen with activity or stress. Poor sleep, fatigue, and depression are also characteristic of myofascial pain syndrome. Trigger points are hyperirritable areas in a stressed or injured muscle which are identified when pressure is applied. They are like contracted knots that can be felt under the skin, causing pain and tightness, both locally and in a referred pattern, and often manifest as headaches, temporomandibular joint pain (“TMJ”), and tinnitus. Persistent pain from trigger points may result in a decreased range of motion in affected muscles including those muscles in the neck and shoulders that maintain body posture. There are two types of trigger points – active trigger points and latent trigger points. An active trigger point produces the debilitating pain symptoms which motivate people to seek relief. This trigger point hurts when pressure is applied and causes pain in the surrounding area as well as other locations. It may feel like a deep pain, dull ache, or a sensation of numbness and fatigue. If untreated, other muscles around the weakened muscle may become stressed and develop secondary trigger points. Latent trigger points often lie quietly in muscles for long periods of time and are very common. They may not be noticed unless pressure is applied to the trigger point and can persist for years after recovery from an injury. Latent trigger points cause stiffness, weakness and restricted movement. Such a trigger point may become active when an old injury such as a knee or back injury is aggravated by overuse, fatigue, or stress. Contact a Social Security disability attorney at 512-454-4000 for a free consultation and see if you can get disability benefits while suffering from Myofascial Pain Syndrome. If you have been denied disability don’t give up! It should be noted that myofascial pain syndrome and fibromyalgia (FMS) are often mistaken for the same condition due to similar symptoms. Fibromyalgia is a generalized amplification of a pain condition associated with “tender points” in the muscles as opposed to MPS which is associated with “trigger points.” Tender points are focal areas of muscle tissue that are extremely tender when compressed. These tender points are painful locally at the site where the pressure is applied without any referred pain to other areas of the body. Myofascial pain syndrome, however, is a disorder of trigger points. Unlike tender points, when pressure is applied to a trigger point, pain occurs not only at the site of the applied pressure but also at a distant site. This is called referred pain. 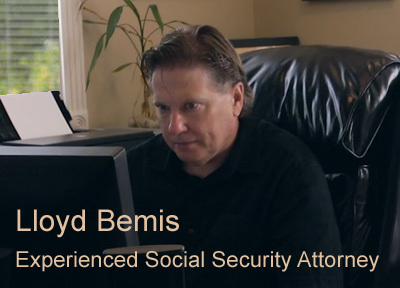 Disability Lawyer Lloyd Bemis can help you file an SSDI claim for Myofascial Pain Syndrome. 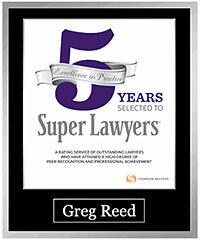 Call him at 512-454-4000 today. Myofascial pain syndrome is diagnosed based on the areas of complaints of muscle pain and is treated by a variety of physicians such as general practitioners, orthopedists, and osteopaths. Various medications such as non-steroidal anti-inflammatories, acetaminophen, or opioids may be prescribed to treat myofascial pain, and injections directly into trigger points can be helpful. Due to the discomfort and stress of MPS drugs are sometimes required to aid sleep and relieve depression. Non-drug treatments include physical therapy, stretching, and massage therapy. Self care – exercising regularly, keeping stress level low, and eating a well balanced diet – can play an important part in managing symptoms. It is possible for myofascial pain syndrome to resolve with treatment; however, many people suffer with symptoms for years. While MPS cannot be prevented, by avoiding re-injury, minimizing stress, getting enough rest, and treating depression, the factors that exacerbate MPS can be avoided. Myofascial pain syndrome is a co-occurring condition listed under chronic fatigue syndrome (CFS) according to the Social Security Administration. As with other disabling conditions, whether or not a person qualifies for SSDI or SSI benefits will depend on information obtained from medical records, including statements and treatment notes obtained from their treating physician. The social security administration will approve or deny benefits based on the extent to which a condition such as myofascial pain syndrome causes functional limitations along with other factors such as work history. Is your medical condition on the List of Impairments? Myofascial pain syndrome is a co-occurring condition listed under chronic fatigue syndrome (CFS) according to the Social Security Administration. If you are unable to work due to myofascial pain syndrome you may be eligible for Social Security Disability or Long-Term Disability benefits. If you have applied for benefits and been denied, contact the attorneys at Bemis, Roach and Reed for a free consultation. We aggressively protect the rights of our clients to ensure they receive the disability assistance they deserve. 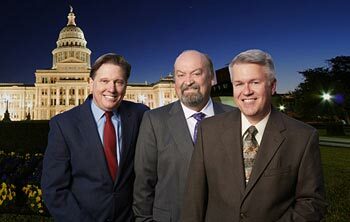 Contact our Texas Social Security attorneys at 512-454-4000 to schedule your free consultation today.